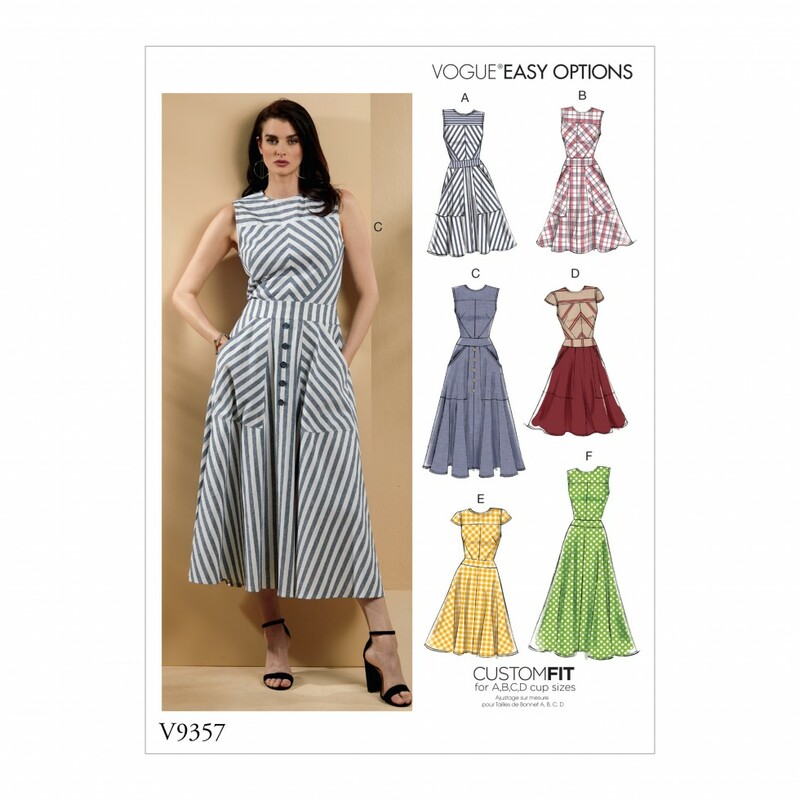 Fitted dress has center back zipper with hook and eye, purchased bias tape at neck and armholes, front yoke, back darts, front and side front cut on bias, and sleeve, pocket, length and fabric variations. A, B, C: Pockets cut on bias. C: Purchased button trim. D, E, F: Side seam pockets. Fabric suggestions include: Broadcloth, Linen, Light Weight Denim, Raw Silk.